If you’re a Baby Boomer, you are well acquainted with the fitness craze that began in the 70’s and morphed into various fads in the decades that followed. From thigh masters to in-line skating and beyond, Americans have fallen in and out of love with fitness. Oftentimes, the all-consuming craze was based on cleverly marketed products with dubious scientific soundness. While Baby Boomers fell for the fitness fads-of-the-day, Millennials have been bombarded with an assortment of fitness choices from the first click of their hand-held devices. We now live in a time when availability of data, breakthroughs in nutritional research and advances in fitness has created the perfect storm. We have achieved “Information Nirvana”. Today there is empirical data available regarding nutrition and fitness. If we discount the assertions made by self-promoting fitness gurus, we can distill all the data into a single word; balance. We must all find the correct balance of nutrition and fitness in order to meet our goals. Since the CDC reports that 62% of Americans over 20 are overweight, let us assume that most Americans view weight loss as part of their fitness goals. If weight loss has been a challenge for you, Garcinia Cambogia might be the supplement that can help you lose weight. The HCA extract from Garcinia Cambogia has been known to aid in weight loss by blocking fat and suppressing the appetite. Far from a new craze, this fruit has been a staple in the diets of people in Asia and Africa for eons and is known for its ability to create a “filling” effect. Well-balanced meals and a healthy supplement to kick-start your fitness plan and you are good to go. 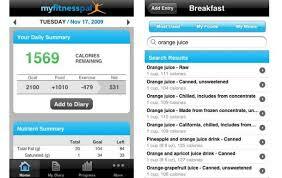 Users can track their daily intake of calories, fat, carbs and protein. The app has a feature which enables the user to calculate calories burned from various exercises. For those who prefer a road map to their goal, this app provides data as well as graphs that show progress. Lose It can create a calorie budget and input the amount of food consumed as well as daily physical activity in order to track your development. This Eatery has not only a meal-tracking feature; it allows other users to rate meals for healthiness. This helps users steer clear of bad food choices. This app is for Weight Watcher dieters who want to track their meals on the go. It uses the same patented point system and has a database of 30,000 meals from which to choose. The information age has illuminated the way to progress but until technology produces robotic fitness assistants to help us achieve our goals, there are plenty of apps available to help keep us on course.